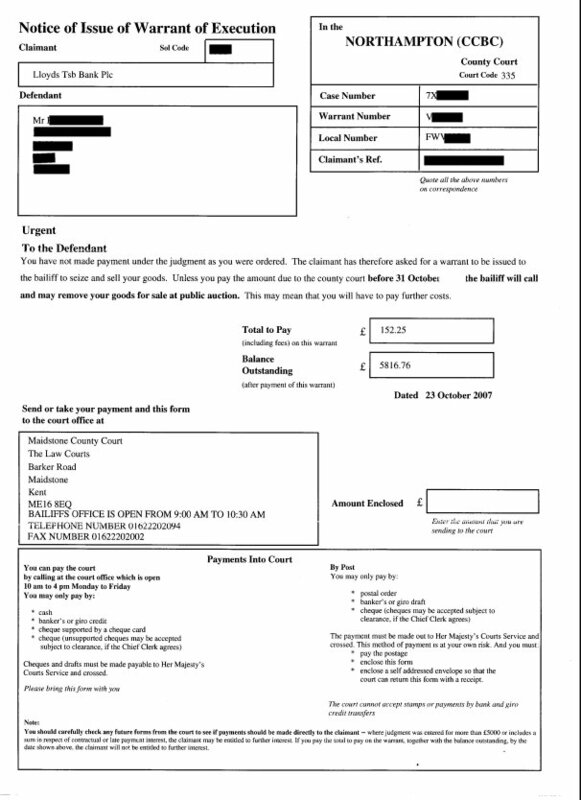 You have received a Warrant of Execution and you want to stop the Bailiffs from visiting? 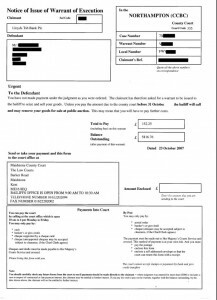 So you have received a Warrant of Execution (see below) from the courts? Now is the time to act, as you will get a visit from the bailiffs, if you continue to do nothing! It does not mean that you have to pay the full amount that they are requesting, if you follow the correct procedures. It is still possible to stop the bailiff visit and get the courts to authorise reduced monthly payments (to something you can afford). You can also pay by credit card – just click on the button above then when you get to the payment page, click on the button “Don’t have a PayPal account?” Similar to the picture below. If you have any questions, click on the little yellow icon at the bottom left of this page and leave a message, I will get back to you.